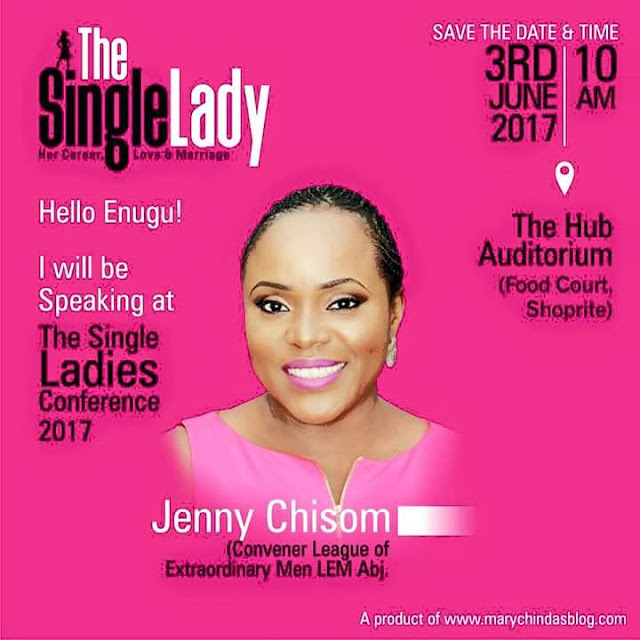 I have been slated to speak at the First Single Ladies Conference on "Single But Whole" as well as discuss real talk issues during the panel session. I look forward to a great time with the ladies and the men who would be attending. The line of speakers are impressive too. Marriage is one of the greatest risk in life yet it's also one of the greatest success or achievements of man. So before going in, take your time to look carefully, at least to be sure you can make do with the worst case scenario. If you mis- marry all the good and working things in your life will begin to miss. Love is the most beautiful thing to have, hardest thing to earn and most hurtful thing to lose. Anyone can leave your life at anytime including your marriage partner if in case you enter into a wrong marriage or dismissal of a love one, but your career and handwork will never leave you. One of the greatest advise is when you are told not to learn all about life from your own personal experience but that you can and should learn from other's experience. 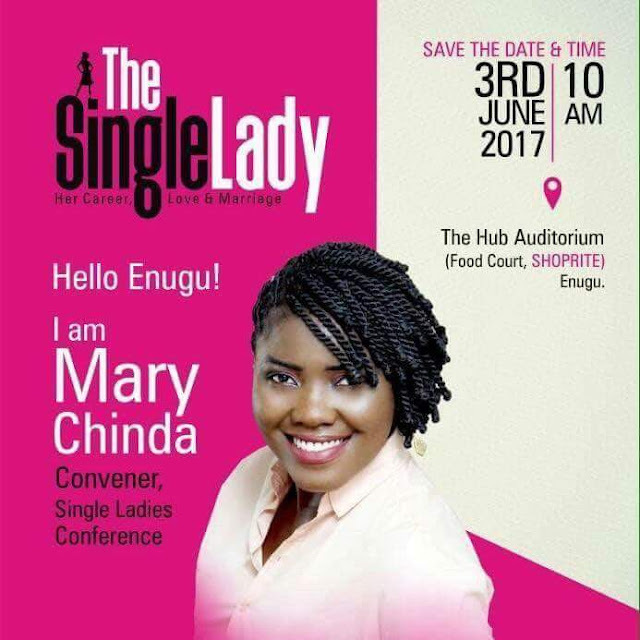 Learning from other people's experience is why your very able friend, Mary Chinda and others gathered very important information with helpful instructions and guidelines about relationship, majorly marriage, for the single ladies. This Single ladies event will help you as a lady to know who you are and your purpose, help you on how you can be successful in your career, love and marriage. If you are in Enugu and environ kindly make it a date with Mary Chinda, your host and others. 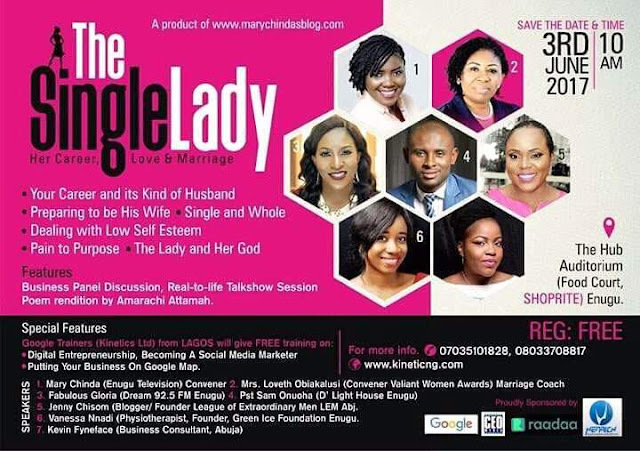 Come and also invite your single lady friends, family and neighbours, you will be glad to be part of this event. Plan and prepare for this program. We will be glad to welcome you into this life and relationship building and changing program. WE HAVE YOUR SEAT RESERVED.